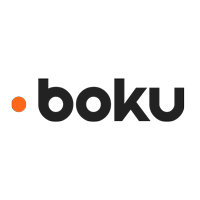 Boku Inc (LON:BOKU), the world’s leading independent direct carrier billing company, has today announced that it has secured an agreement with Huawei Consumer Business Group to provide the company with a carrier billing platform as a payment method for purchases from HUAWEI AppGallery, HUAWEI Mobile Cloud and HUAWEI Themes. Huawei is China’s leading smartphone manufacturer. According to IDC, Huawei rose to become the world’s second largest smartphone manufacturer in Q2 2018 with a global market share of 15.8%. The agreement will see Boku provide Huawei’s growing consumer base around the world the ability to purchase content and services from HUAWEI AppGallery, HUAWEI Mobile Cloud and HUAWEI Themes. Huawei wants to use Boku to give their consumers a seamless and convenient way to make purchases on their handsets so they can enjoy the content on their phones as soon as possible. Target markets include many countries, including the UK, Sweden, Denmark, Switzerland, Norway, Belgium, France, Russia, Spain and Austria.